From being just another activity during holidays and a part of leisure, to becoming a source of gaining experience, exploring, and knowledge sharing; traveling has evolved a lot over the years. Extending this trend of advancement, today, traveling has turned into a much more meaningful way of exploring places. Many backpackers, gap year travelers, solo explorers and vagabonds have started adding volunteer work to their expeditions. This altruistic change has only increased over the period of time, and 2016, too, is predicted to be bigger, better, and much more fruitful. Every volunteer placement organization has a set of destinations in each continent where they provide placements to volunteers under a program. While this, certainly, provides a wide list of destination options to travelers they may not have thought of traveling to otherwise, at time it does limits the options for a traveler to choose from and also becomes one of the reasons for making itinerary shifts and alterations; such as, spending lesser time at the volunteering destination than projected. To address this issue, many agencies has expanded their reach and have started providing wider options for the volunteers to choose from. And it is not just the extension of destinations that has evoked the predictions of high volume of volunteer traveling in 2016, but also the cost factor. It has been observed that several professional placement organizations have started conducting attractive contests and campaigns, as well as captivating offers to promote volunteering travel. 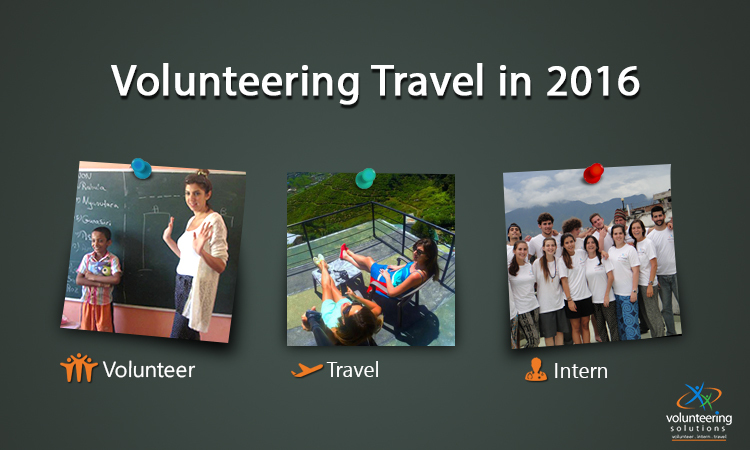 The inclination for traveling abroad to volunteer is increasing significantly every year. According to the internal statistical reports of several volunteer placement agencies, there has been a good 3%-4% increase in the number of interested volunteers every year. “We have been seeing an exponential increase in the number of interested travelers registering with us every year. 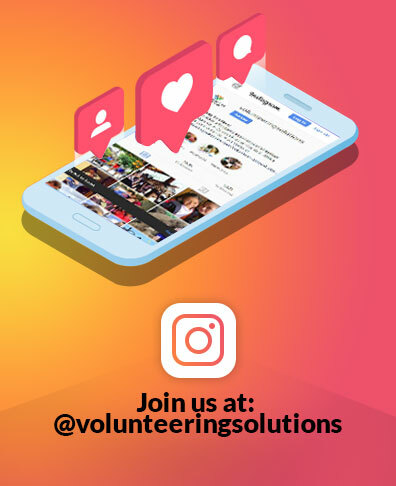 People from all ages, especially students on their gap year, show a lot of interest for volunteering abroad to gain invaluable experience.” Says Saurabh Sabharwal, the founder and CEO of Volunteering Solutions. No matter what type of travel you choose to take, one thing remains constant; adventure activities. 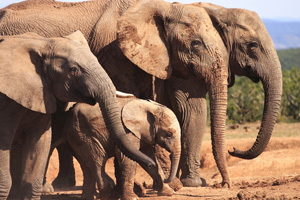 Even during a volunteering stint, volunteers get to explore the famous tourist hot-spots, visit the heritage sites, indulge in several thrilling adventure activities, and more. Each destination has a thrilling and new adventure to offer, and that is what makes them unique. And with more and more destinations adding to the fold of placement agencies, the options to look forward for are increasing as well. Yes! You read that right. If you observe the trend reports from different airline booking sites, you will find that they have reasoned out the fact that 2016 will see a drastic fall of ticket prices. This is mainly due to the fact that, several airlines have added more aircrafts to their fold, and also the number of economy class flyers that are increasing cumulatively. And, if nothing else, then you certainly have the pre-booking options for availing low air fares. There was a time when it was only the elite class that use to travel places as a part of their holiday expeditions and leisure. However, the increasing disposable income and the number of affordable destinations to travel to has made it possible for travelers from all ages to explore their choice of region. Volunteering abroad itself is a highly affordable way of traveling abroad with accommodation, meals, in-country guidance, and weekend trips, all managed by the placement agency. This has wide opened the bracket of travelers’ age group. Today, even a 17 year old can afford to travel to volunteer abroad, and so can a 50+ year old person. It is a crazy travel year awaiting ahead with travelers all set to join their volunteer projects and travel to make a difference in the society. The trends are changing and so is the way of traveling abroad. Let’s hope more and more travelers rise up to add volunteering work to their expeditions and make this world a much better place for everyone. Quiz: Which Volunteer Destinations These Heritage Sites Belong To?